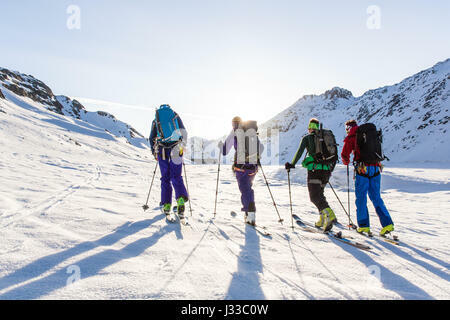 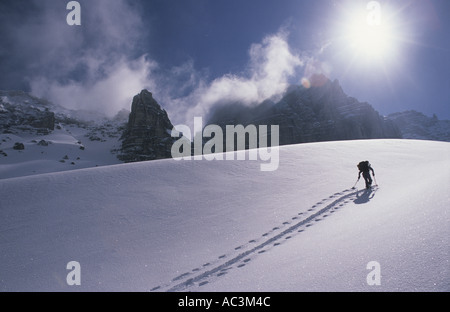 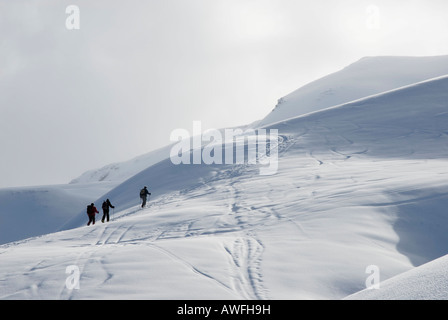 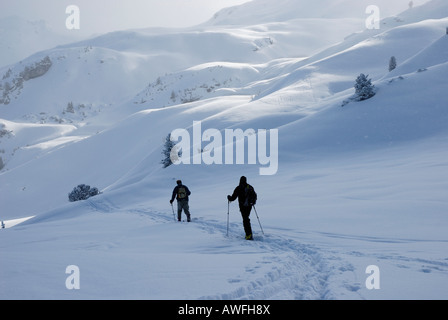 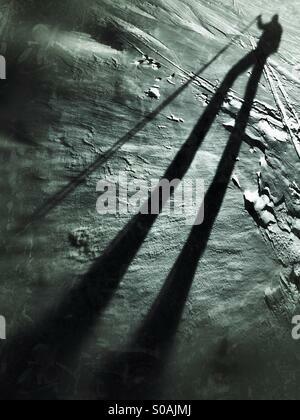 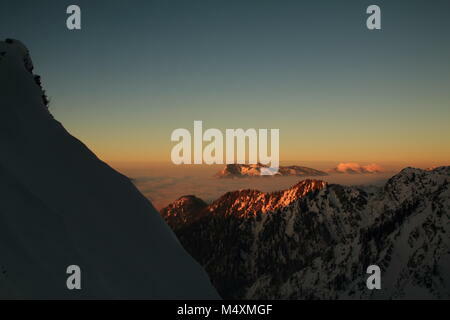 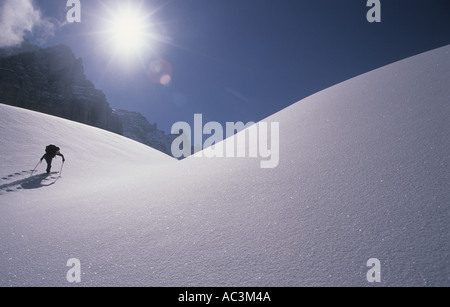 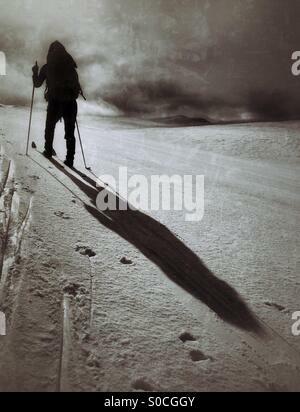 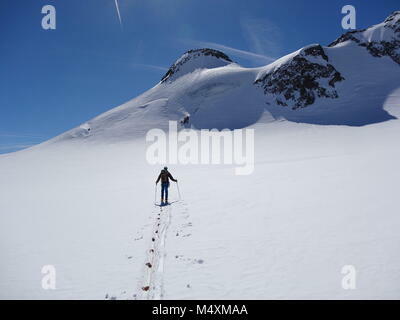 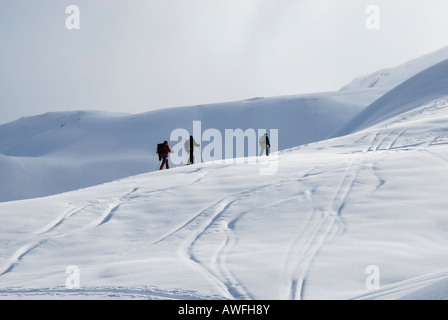 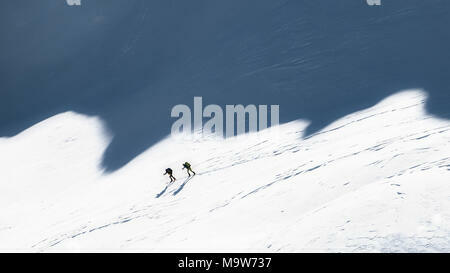 Ski mountaineers in the shadows of the mountains. 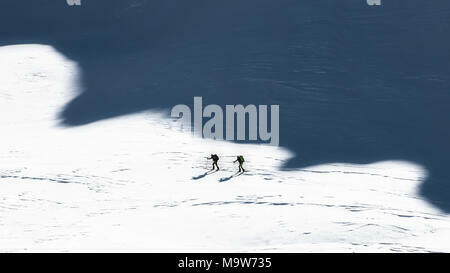 Ski mountaineers in the shadows of the mountains. 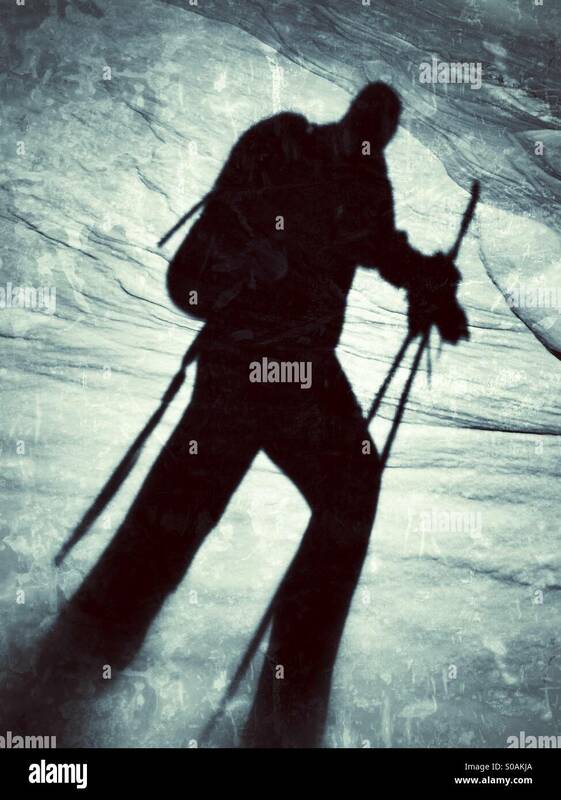 Artistic style photo.